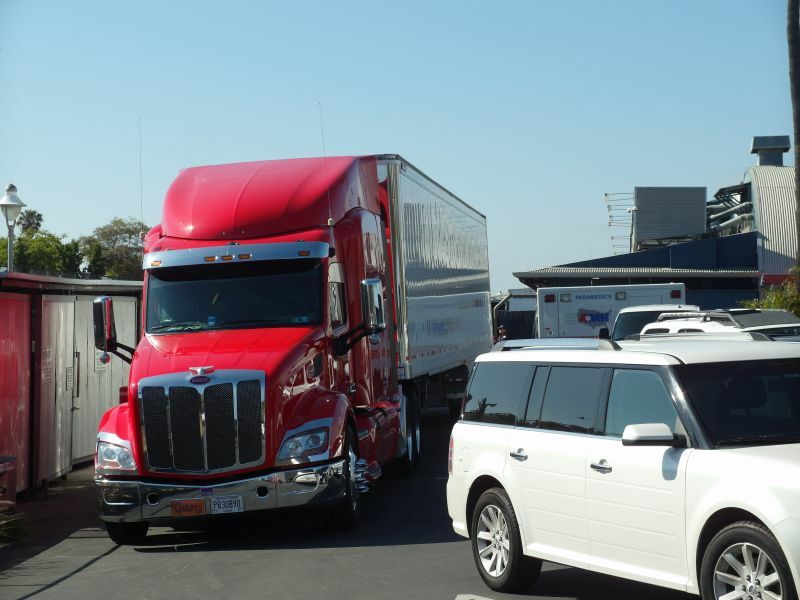 There were rumours about one or two club shows in the Los Angeles / San Diego region for a long time. The Fonda Theatre was the strongest rumour, and we all know it happened for real on Wednesday May 20. One down. One to go. The other rumour was way almost hidden away, but it was there, coming from several different good sources. It was either nothing happening or very secret. My Stones mind said stay close, don't leave until they leave the West Coast. It could still be San Diego or Los Angeles, and I was looking for a rumoured show either May 26 or May 27. 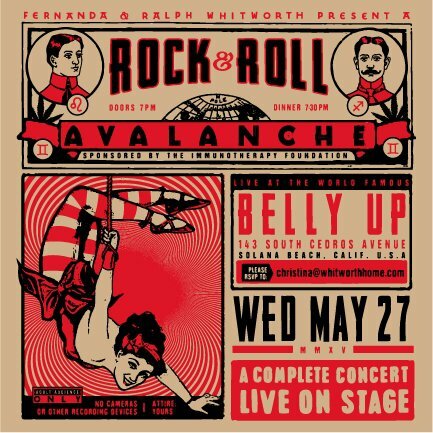 Then I found out that the Belly Up might be a place for this gig. It was booked for every single date in May except May 27. 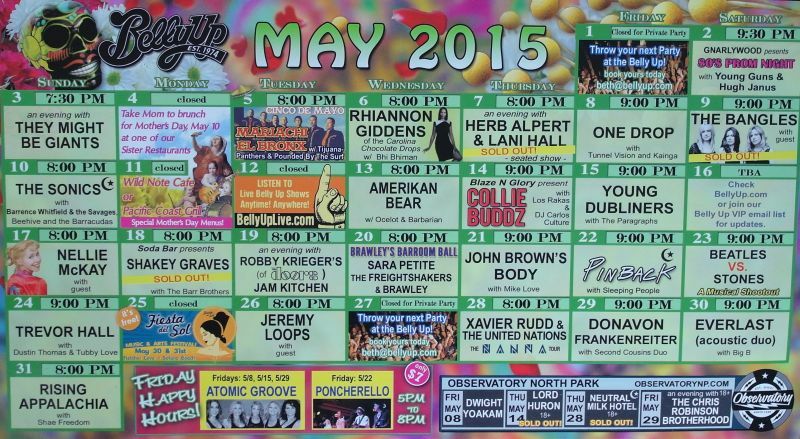 If you see the May chart I got at the venue, all they say on the 27th is "Throw your next Party at the Belly Up!" with some contact info. But that "Jeremy Loops" listing might still be an alias, so I got a ticket for that show, the day before, on the 26th, staying within walking distance of the venue. That was the only way to know what was going on. No trucks or Stones related activities to be seen during the evening of May 26, but I noticed there was spreading a rumour on IORR about a club show at the Belly Up. 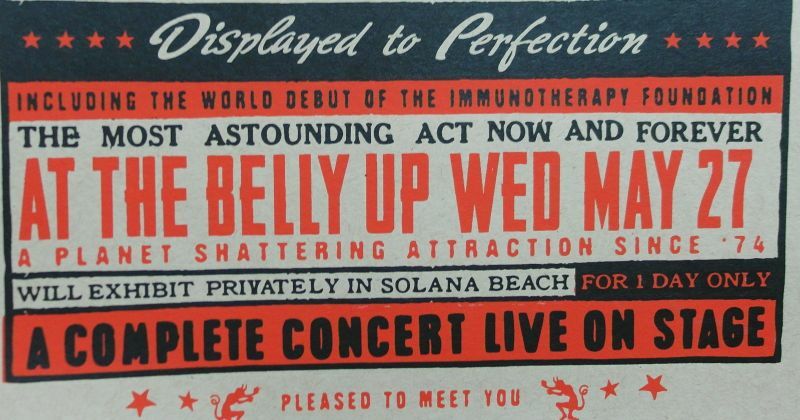 At that time, late Tuesday May 26, I am sure the guests got the message about what band they were going to see at the Belly Up. Until then, all they knew was a performance by "The most astounding act now and forever". The secret was blown, but not confirmed. It might still be just another rumour; I could not trust it. Then I went to the Jeremy loops show, I had dinner at the next door "Wild Note" restaurant. I noticed they had B. B. King pictured on the wall. The restaurant had a back door directly to the side door to the Belly Up. Once inside the Belly Up, I could see pictures all over the walls, virtually any great act has been there. Bo Diddley. So many others. This was the Brixton Academy or the Shepherds Bush of the area. 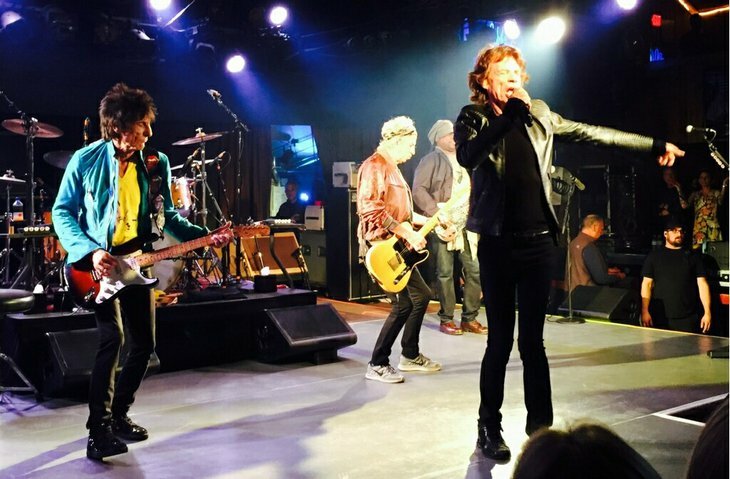 My "probabilty estimate" for a Stones club show here tomorrow raised from 75% into 90%. But I was still not sure. Waking up in the morning of May 27, I prepared for a long bike ride during the day. I went by the venue around noon. The Stones trucks were there. Fans were there. But most important, Stones staff I know was there. So the secret club show was no longer so secret for me. It was 100% for sure. I continued my bike trip and that way I could have something else than the Rolling Stones keeping my heartbeat up for the next hours. Around the same time I noticed the boss himself Mr. Ralph Whitworth, the one who was inviting to this private party, was walking around among the guests queuing up. By watching the people around him, guests, friends, collegues, I guess, I could see he was well respected, but I could also see there was mutal respect. He had a friendly and open way of communicating. When someone asked him to meet their son or wife, he had time, he took his time, even if he had a few hundred guests by then. At one point, I was literally one foot away from Mr Whitworth just outside the Belly Up before doors opened, as you can see from some of my pictures. 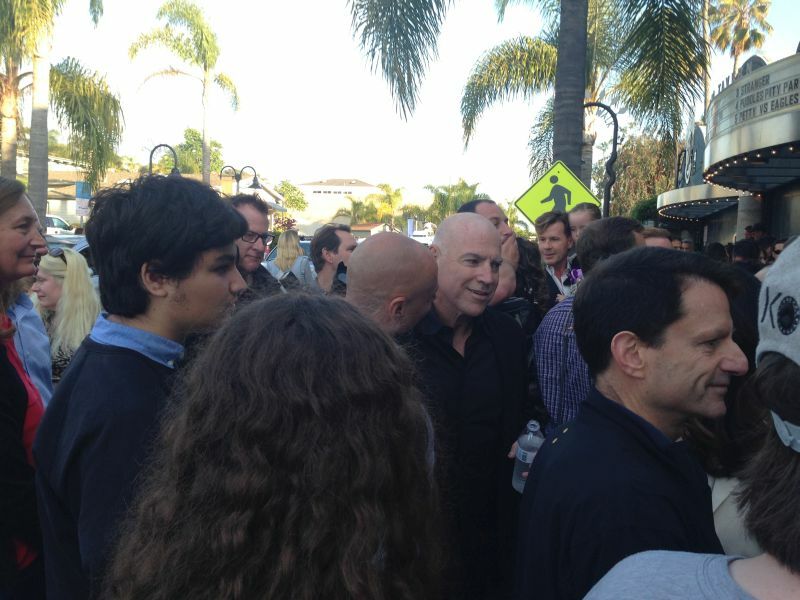 I watched him shaking hands with friends and associates right next to me. He dressed like a fan and he sure acted like a person I would respect. I was so close to stretching out my right hand and say "Mr Whitworth, I am a big fan of the Stones, and I do need to come into this show and your party, to see them, you know, I see them every show, I need to be in here for your private party... And you would do me a great favour, I could tell you many stories..." But I am a shy person, this was his party, not mine. I stayed outside and waited for a miracle to happen. 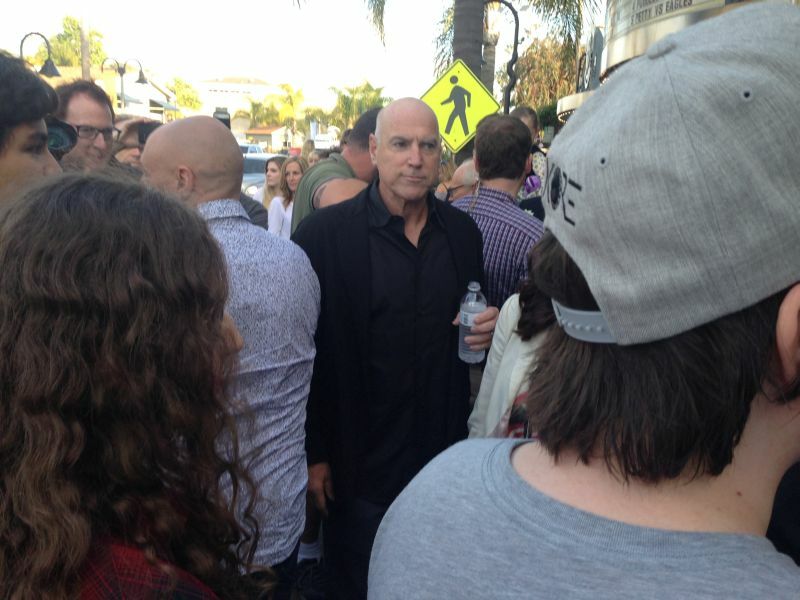 I saw one person sneaking into the venue. The guy used the restaurant front, there was a transparent plastic front to protect from rain and wind, but it was not fixed to the sides. This guy simply sneaked in there, walked normally, nobody noticed I though about it, may be for a second or two, I could have done it too, but that is not me. If I am not invited, then I am intruding. I would be a stranger, it would not feel right. I stayed outside. There is usually one corporate i.e. private or paid for gig per tour. There has been the Pepsi show in Hawaii Jan 1998, several shows at the Las Vegas Hard Rock Hotel venue the Joint, the Deutche Bank show in Barcelona 2007, and the Mogador in Paris 2012. It is so sad to be closed out from a show when you are so hooked on the Stones as I am. The feelings of loosing a show is haunting me forever. That is why I have brain washed myself for ages into believing that private shows are not interesting, they are not "mine", the crowd is not "real" fans, and I should not waste time on them, because I will be so disappointed. Well, here I was, outside the Belly Up, brain washed, with only one plan. 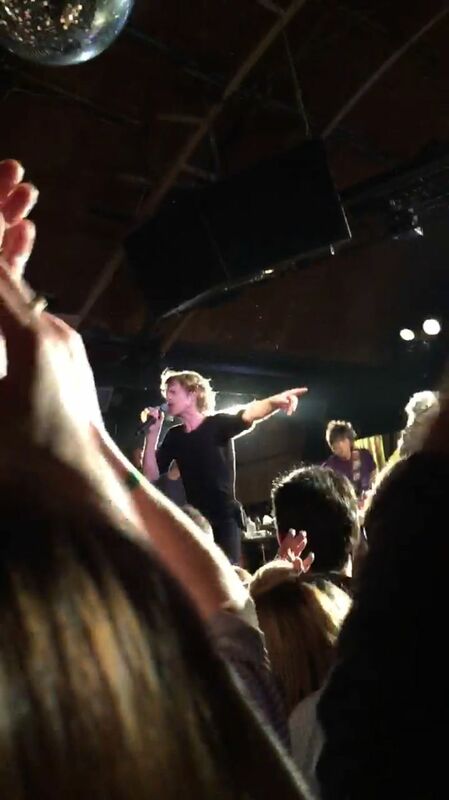 To be at the venue, to hear what they were playing, and if a miracle happens, it happens. "Start Me Up" sounded five minutes past nine. They are on! I hear the song through the plastic front of the restaurant. Next up is "It's Only Rock'n Roll". Everybody around me is talking, it is really hard to listen. I move over to the main entrance door. There I can hear much better. Next up is "You Got Me Rocking". Ronnie doing his trademark part of the song. People around me start saying it is HTW. Well it is too much talk for me, I just want to listen. Some TV crews are coming up, making even more noise, sticking their microphones right up in our faces, on the door, asking questions, I just ignore them. The Stones are playing, we don't talk then. Next up "Tumbling Dice". Luckily the TV crews are gone a bit away now. Then just as they start "Whip", I see a familiar face, and I am invited in. Thank you so much, so kind, so very kind. "When The Whip Comes Down" inside with the band is like coming into paradise, as compared to having your ear to the door, while people talk, talk talk. I was blessed. 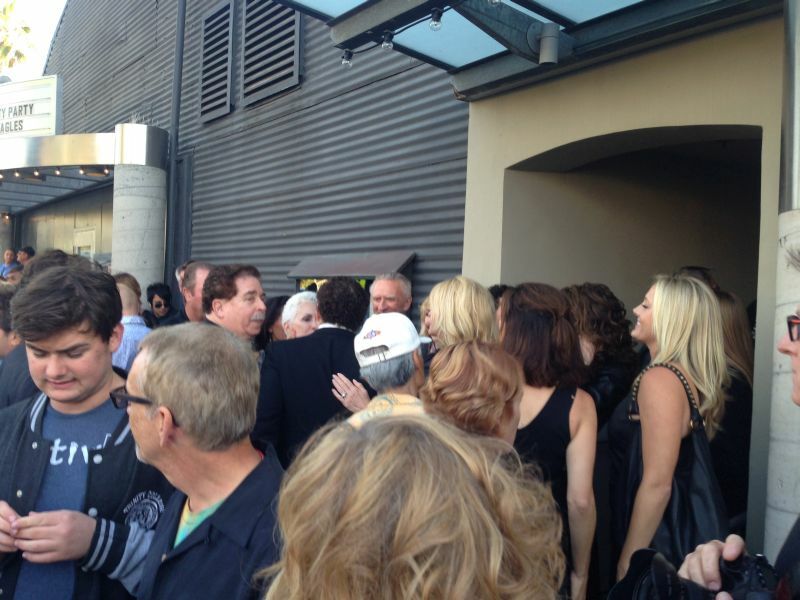 I knew the venue from the show I went to last night, then there were 150 in the crowd, I counted. Tonight, at this party, it was all dark in the sides, and they had rather generic lights, but I would say around 250 on the floor and may be another 150 or so on the sides. The crowd was great, could not have been better. Mick worked them, Keith was smiling, playing great riffs, Ronnie was working hard, and Charlie did an extra odd "booom" now and then. For the Stones this was business as usual. In fact it was better. 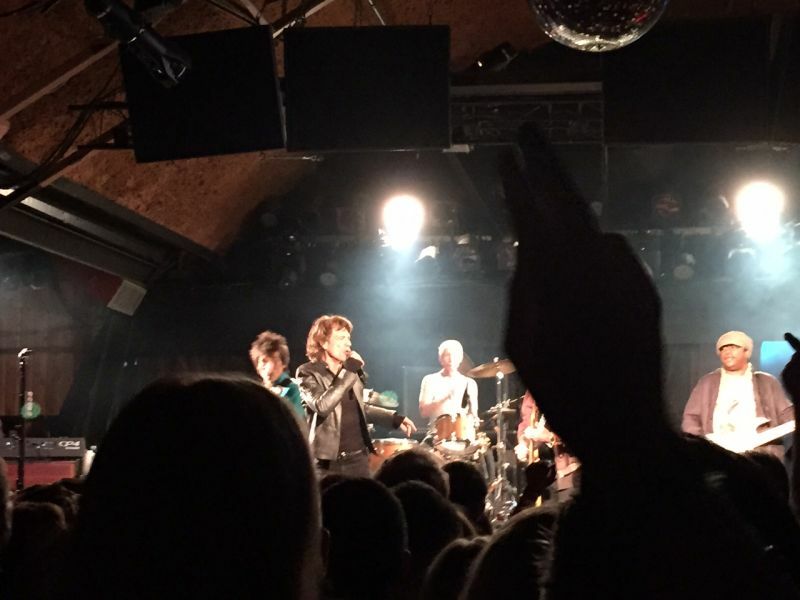 There were no cameras on stage, no cameras in the front, just the usual guys with the small cameras, and a small portable on the corner to preserve the event for the Stones files. Not much has leaked out so far from these, as far as I can see. "I Got The Blues". It felt different from the Fonda Theatre performance. Chuck Leavell got an extra ovation as he did his keyboards trademark solo part. 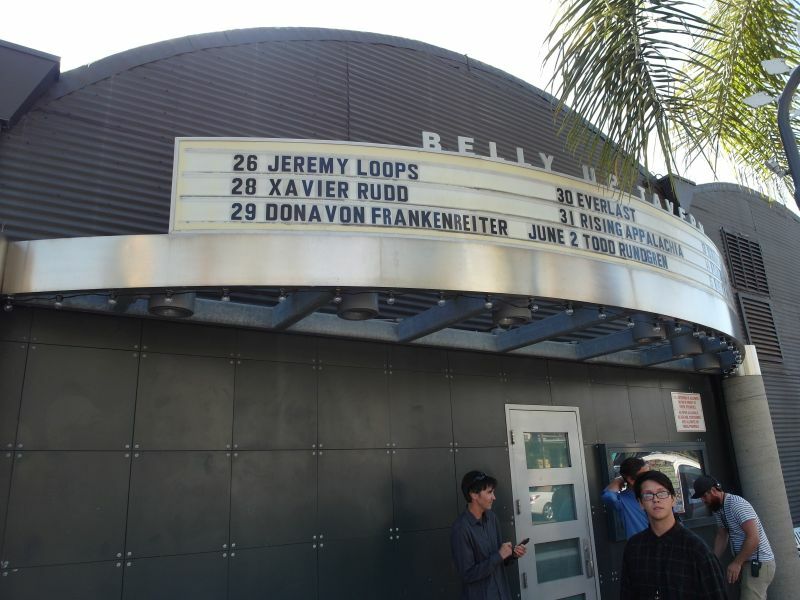 As the Belly Up is half size of the Fonda Theatre, it might be different because of that. Also, the Fonda was packed with celebrities and invited people. 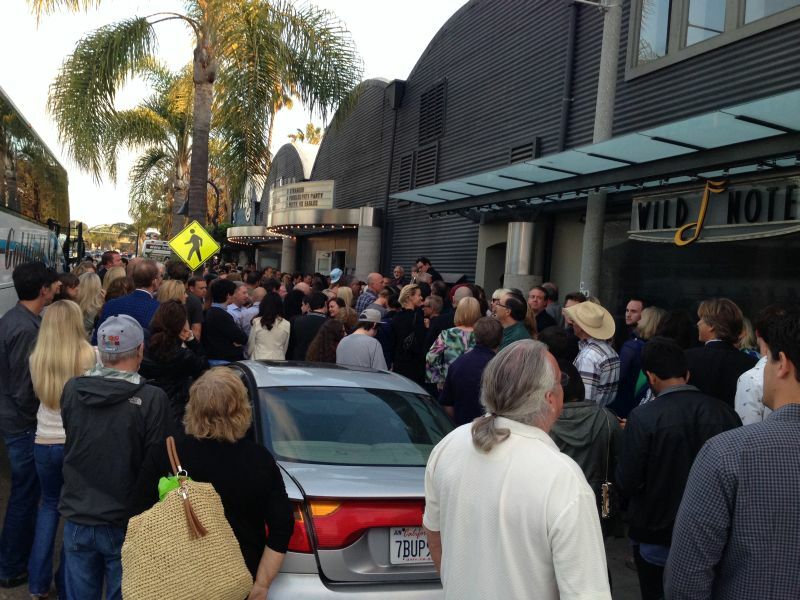 I don't like to compare crowds, but in my opinion the Belly Up crowd was more into the show than the Fonda crowd. At the Fonda the front was packed and the back floor was cool, here at the Belly Up it was packed all the way to the bar, lots of hands in the air, the hands were a foot or so from Mick and Keith at times, but they were safe, and this crowd was great yet behaved. "Crazy Mama". So great! Unless they do it during this tour, I would guess it is a favorite of the host, by request, and they rewarded it. Next up is "Paint It Black". Corporate gig? Private? Call it whatever you like. 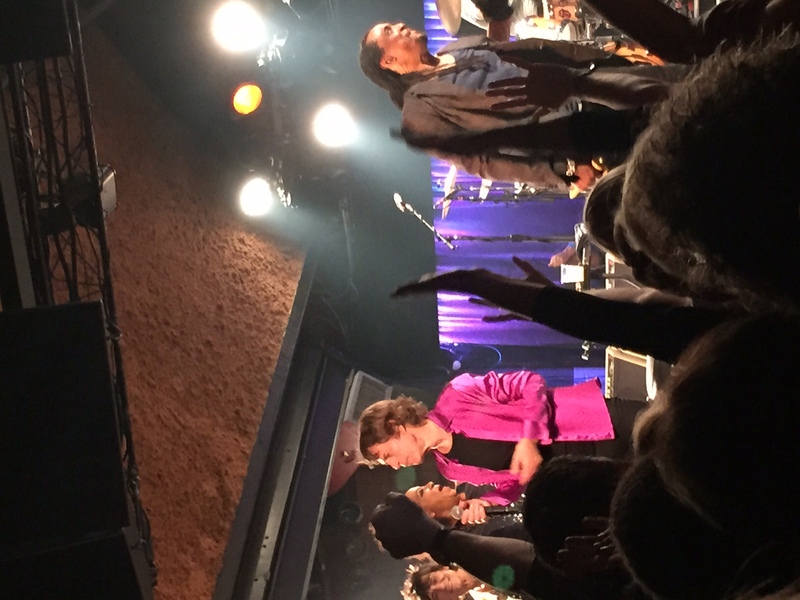 Mick recently said "We play to people". So true. He could say "We play to fans". I wasn't going to do a song by song report. 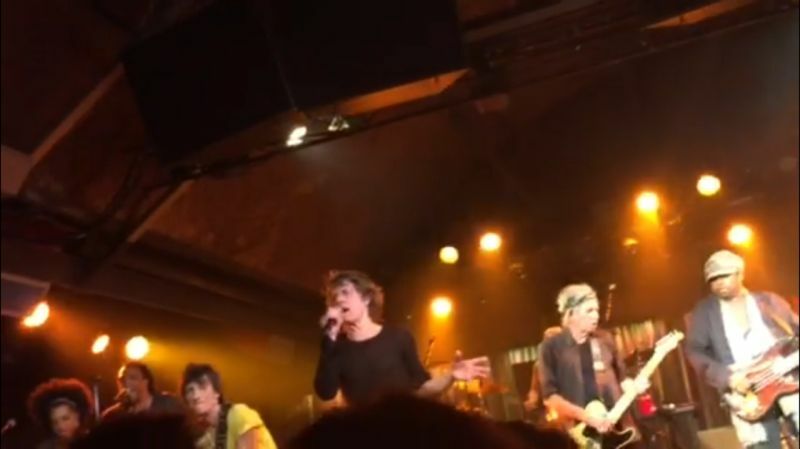 Still, some more great memories... Keith was fantastic on "Honky Tonk Women". Great guitar playing up front. Keith was quite busy playing his guitar, and during Rambler Mick came over to him, leaning over, Mick's hand on Keith's shoulder, he enjoyed the show and being close to Keith. Magic moments of music and close friendship through more than half a century. "Jumping Jack Flash". 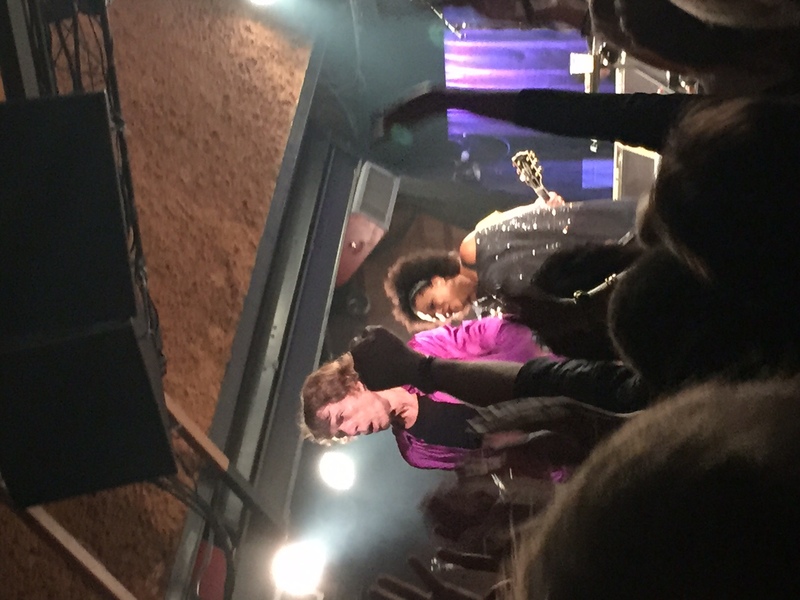 Mick takes a sip from the water bottle, then throw some water into the crowd. He is getting an immedient feedback, a great roar back so he must do it another time. More water. I expected him to throw the water bottle too, but he leaves the bottle up front. Then a crew member rush in with towels to make the floor dry and safe. Mick helps in by his foot, moving one of the towels around, cleaning up his friendly crowd spill. Teamwork. Everybody on the Stones tour has at least two tasks at times, even Mick. It was a short show but quality comes before quantity. I loved every moment. I felt younger and my heart was warmed by the generosity of the band, the excitement of the crowd, and for having the possibility to enjoy this great event. As the show ended, and the Stones were gone, I was still happy, but I felt I was in the wrong place. It was not my party, I was with the band. They were gone. So I left. As I walked out into the street of Solana Beach, I am sure I had a big smile on my face. I felt like I was flying. I met a friend who I have been in contact with lately, we talked, shared thoughts. I needed food and a drink, before everything closed, so I rushed away. Then back "home" to my room, still staying awake. The Stones are a fine band, a great band. I am forever grateful to them because they are so generous to fans, so that it was possible for me to be at this show. I am humble, I know this is not possible for anybody, usually for nobody, and I am not sure if this entire experience is just private or should be shared. 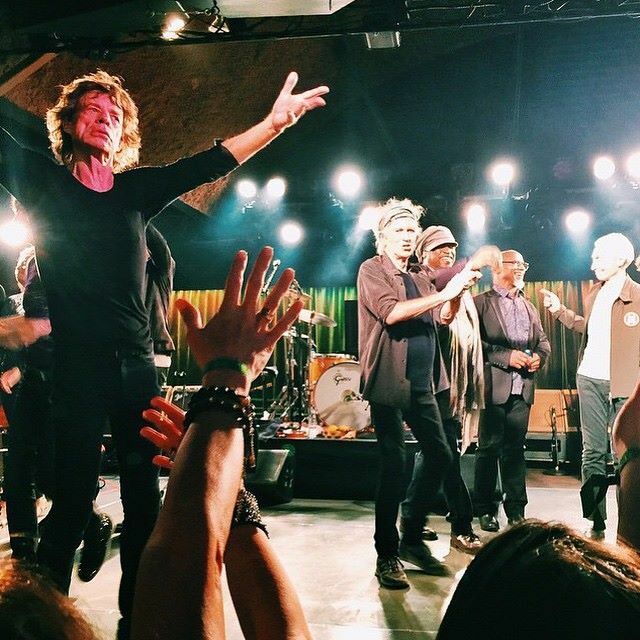 But just like the special treatment the Stones gave us during the rehearsals in Paris 2012, I think everybody should hear about their great performance and their generosity still. Thank you Stones! I will follow you wherevr you go; you have the sun, you have the moon, and you have The Stones.